A few months ago, Cindy (of Cindy Bee’s Quilt Shoppe) and I decided it was time to update our long-arming abilities, expand our horizons, and explore free motion quilting design. Every once and while, we'll get a quilt that really feels like it needs more than just an edge-to-edge quilting pattern. But, we were somewhat timid to jump in to free motion design, particularly when working with other people’s quilts! With both of us closed up for renovations in April, some learning to do, and extra time on our hands, we packed up and headed to Oshawa to take Whirls N Swirls Long Arm Bootcamp with Tracy Russell. With my travelling quilting bag at Whirls N Swirls in Oshawa, Ontario. I’ve been free motion quilting for years now, but seldom venture beyond conventional stippling and beginner motifs. When I do get a bit more adventurous, the intricate designs I attempt tend to be a bit of a disaster and require many more hours of practice (thus the class at Whirls N Swirls!). I keep telling myself, just because you can write, does’t mean you can write a novel. Tracey, on the other hand, is a master! She’s is an absolute hoot as well as an inspiring quilter and motivating teacher. You may have heard of her 100 Designs in 100 Days Challenge, a self-imposed challenge to quilt 100 different designs in 100 days. She documented the experience on YouTube, where you can watch a short clip of her quilting (3-5min each) for each of the 100 days - careful, they’re pretty addictive! Visit her YouTube channel here. From left to right: Cindy, Tracey, Lisa (owner of Stitch Witch in Cobourg, Ontario), and me. At the long-arm at Whirls N Swirls. One of the big takeaways from the course for me is my new sketchbook. I’ve been reading about long-armers with sketchbooks on the internet for a long time. But, I've never really been motivated, or set the time aside, to start one. 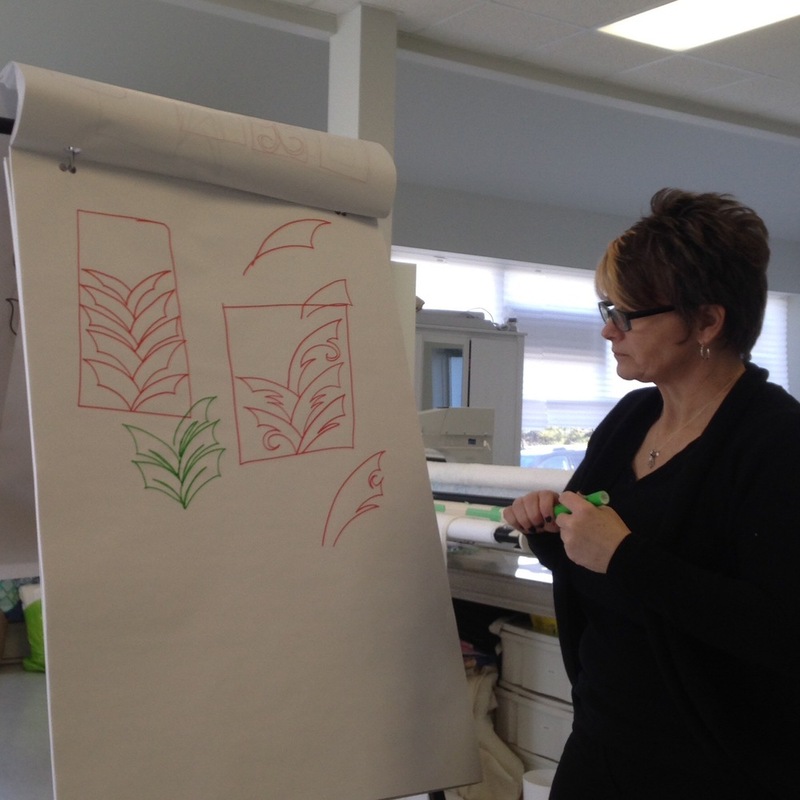 As Tracey explained, a sketchbook provides a blank space to practice quilting designs and gain muscle memory. By practicing with the sketchbook, the goal is to get a bit of the design embedded in your brain so that you're better able to remember details and technical aspects of the design when you go to your long arm or domestic machine to stitch it out. After only a few days of working in my new sketchbook, I’m kicking myself for not finding the time to start one earlier! I’m realizing how beneficial it is to go from imagining a design to stitching it out with only a few steps (and lots of practice!) in-between. Over the weekend, I tried sketching one of Tracey’s designs from the video series I mentioned above. It's not easy! But, it's an example of the type of design you can practice in a sketchbook, over and over, until you feel confident enough to go to the machine and practice, over and over, until one day you feel confident enough to do them on a quilt - yikes! 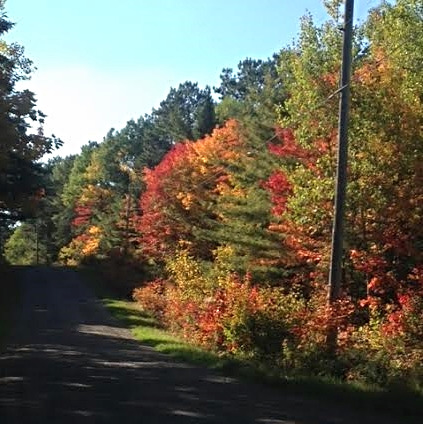 On the way back home, we couldn’t resist stopping at a few destination locations along the way. First, we stopped in Uxbridge, Ontario at Quilter’s Cupboard. What a fantastic shop, and close to great restaurants for a lovely lunch in downtown Uxbridge. Quilter's Cupboard is home to several fellow Studio 180 enthusiasts and while I was there, I had the pleasure of talking tools and techniques with Leianne. 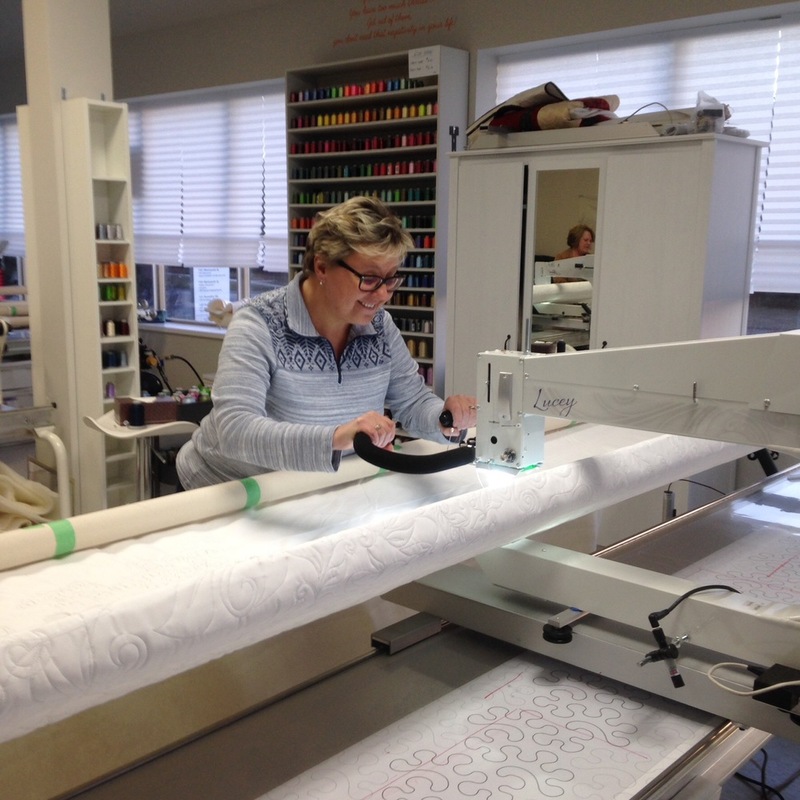 Leianne is the primary Studio 180 instructor at Quilter's Cupboard and I look forward to touching base with her again sometime soon! One more funny note on sketchbooks. I’m finding I tend to make little notes to myself and draw arrows and other instructions to help remind myself how to make a design when I’m stitching. I also notice myself (not unlike Tracey) reciting mantras in my head, “loop in, make a leaf, add a spine…loop in, make a leaf, add a spine”. Do you have any funny quilting mantras you've developed? Share in the comments! Until next time, stay safe, go buy a sketchbook, and practice your designs.